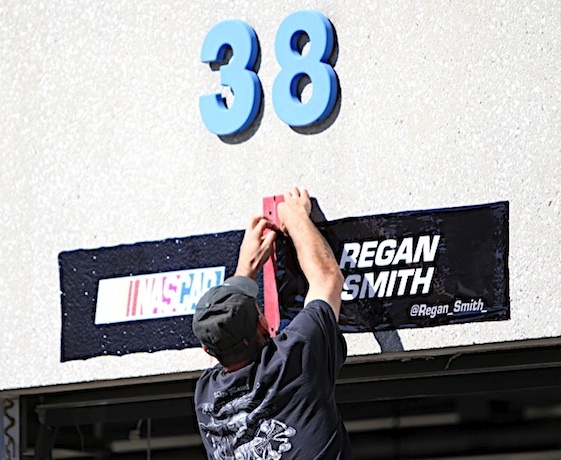 CONCORD, N.C. – For 29-year-old Regan Smith, the last four weeks have been quite a roller-coaster ride. During that time span he has lost his NASCAR Sprint Cup ride with Furniture Row Racing to Kurt Busch, gained a ride with Busch’s former team fielded by James Finch and been named as Dale Earnhardt Jr.’s substitute at Hendrick Motorsports. The later came early Thursday morning after neurosurgeon Dr. Jerry Petty told Earnhardt Jr. he needed to sit out for a couple of weeks due to the 38-year-old driver suffering two concussions in the last six weeks. “First and foremost, Dale’s health is the most important thing,” said Smith, who qualified Earnhardt Jr.’s No. 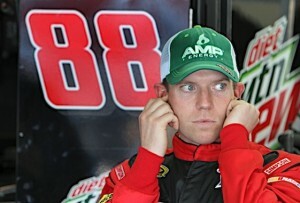 88 Chevrolet 26th during Thursday’s preparations for Saturday’s Bank of America 500 at Charlotte Motor Speedway. Smith was contacted about substituting for Earnhardt Jr. around 7 a.m. Thursday when he received a text from crew chief Steve Letarte to contact him ASAP. At the time, he was drinking a cup of coffee, getting ready to go to the gym. Team owner Rick Hendrick had contacted Finch, who uses Hendrick engines, the previous evening about acquiring Smith’s services for the next two weeks after Petty told him on Wednesday he was not clearing his driver to race this weekend. Finch agreed and turned to A.J. Allmendinger to race his car. Hendrick said he settled on Smith because he knew JR Motorsports had been talking about running him in the Nationwide Series for a championship and Earnhardt Jr. liked him. Smith said the fact he was excited about driving Finch’s Chevrolet for this weekend before the opportunity with Hendrick Motorsports surfaced should not be overlooked.